1st April 2016 will see the introduction of a new statutory minimum wage for over 25s, which the government is referring to as the ‘national living wage’ (NLW). This is not to be confused with the Living Wage which is a voluntary payment by employers at a higher rate than the NLW, and which applies to all working adults above the age of 18. This briefing note provides guidance around the various different wage rates that employers must pay by law from April 1st in order to comply with the NLW, as well as the Living Wage which means paying higher voluntary rates. These are the rates outlined below which Living Wage Foundation (LWF) accredited employers pay their staff. 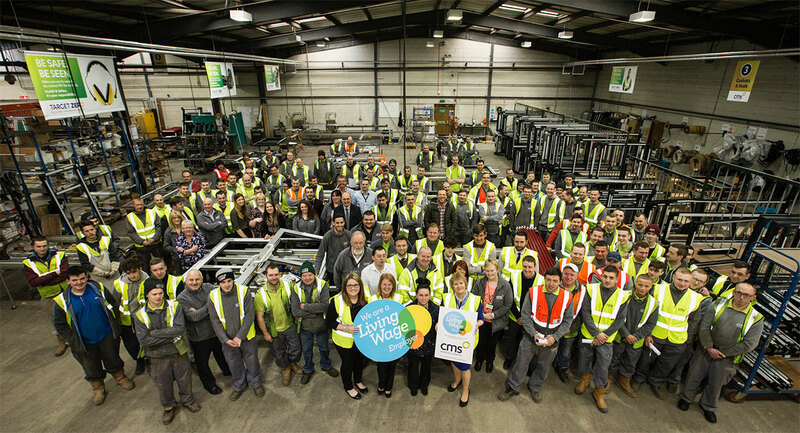 The Living Wage Foundation has 2,300 accredited Living Wage employers across the UK. These are employers who commit to paying their staff at least the voluntary Living Wage. The Living Wage commitment sees everyone working at an employer, regardless of whether they are permanent employees or third-party contractors; receive a minimum hourly wage of £8.25, and £9.40 in London - significantly higher than the national minimum wage of £6.70. The Living Wage is an hourly rate, set independently and is based on the cost of living. The Living Wage is for all employees over the age of 18, whereas the new enhanced minimum wage rate is for over 25s only. New rates are announced in Living Wage Week in November every year. What is the New Minimum Wage AKA National Living Wage? The new minimum wage rate sometimes referred to as the ‘national living wage’, will be £7.20 per hour. This will increase each year, with the aim of reaching 60% of the median wage across the country by 2020 (this would mean around £9 an hour, but the Low Pay Commission will consider what the market can bear). It will not increase in line with the cost of living and will only apply to adults over the age of 25 impacting around 1.8 million people (according to the Low Pay Commission) as opposed to the 5.84 million people who currently earn below the Living Wage. The Living Wage Foundation recognises and celebrates the leadership shown by Living Wage employers across the UK. The Foundation believes that work should be the surest way out of poverty. Aviva; Joseph Rowntree Foundation; KPMG; Linklaters; Nationwide; Nestle; Resolution Foundation; Burberry; GSK; Trust for London and Queen Mary University of London. The London Living Wage figure is set annually by the Greater London Authority and covers all boroughs in Greater London. The UK Living Wage for outside of London is currently issued annually by the Centre for Research in Social Policy at Loughborough University. Explanatory tools are included below, with attachments available upon request. The current UK Living Wage is £8.25 an hour.